Automated Warehouses.com Pty Ltd., is a Queensland based company, owned and operated by, The Thomson Family of Brisbane. James N. Thomson with a background in The Storage & Materials Handling Industry, spanning 40 years and in three continents. James Thomson Jnr., brought up in the industry and capable to deliver, on time, Storage Facilities from conventional through to Full Automation. 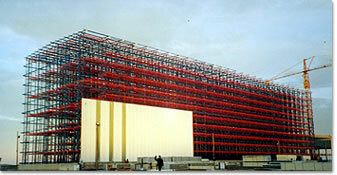 Scott G. Thomson, completed many successful installations of Fully-Automated Warehouses in Asia and Europe. High Bay Racking Specialist.